For over 100 years, Lone Mountain Ranch has been a symbol of the American West. 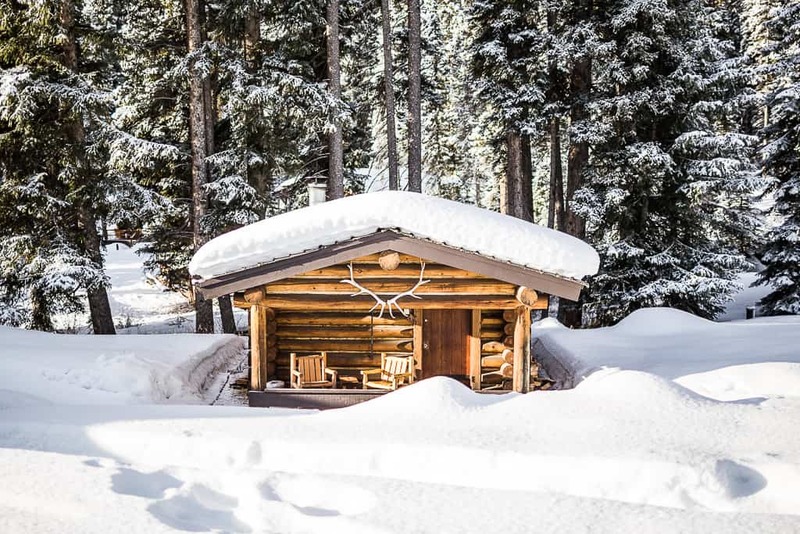 We had a seat at the table for the early days of Yellowstone Park, the formation of the town of Big Sky, the evolution of ranching and logging in the Northern Rockies and the preservation of this spectacular wilderness. Ever since we homesteaded in 1915, our story has had one consistent thread: warm and welcoming hospitality to all. Take a walk back through time to get a sense of our roots and the Real Montana you’ll find when you get here. 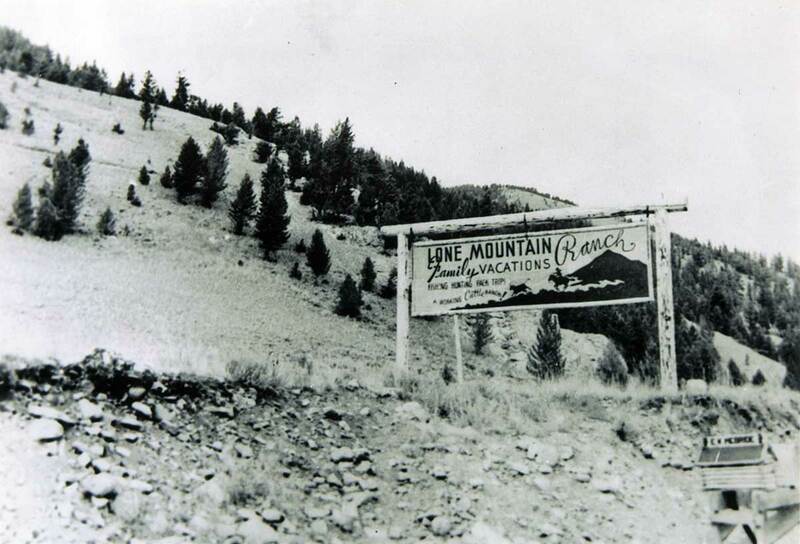 Lone Mountain Ranch was first homesteaded by Clarence Lytle in 1915 as a working cattle and hay cutting ranch. 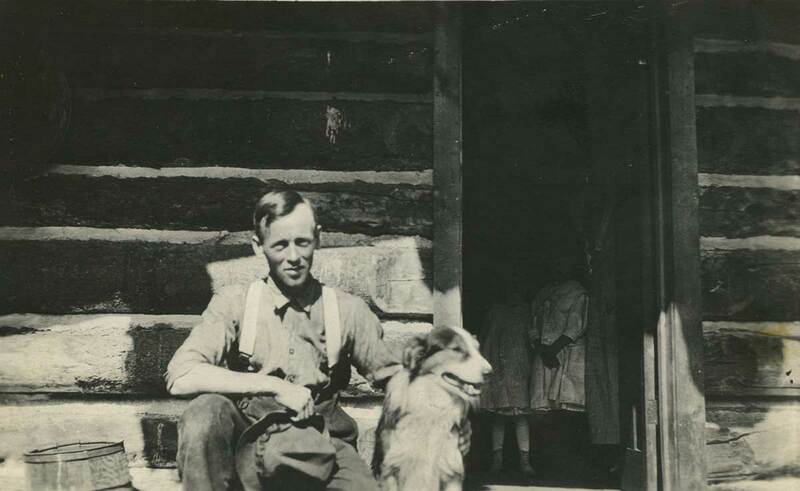 Clarence and his brother William built many of the original structures on the ranch including the Meadowlark Cabin (which still welcomes guests today), barns, corrals and fence lines. In 1927, he sold the ranch to a Chicago paper mill tycoon, J. Fred Butler, who spared no expense in building the ultimate vacation destination for his family. 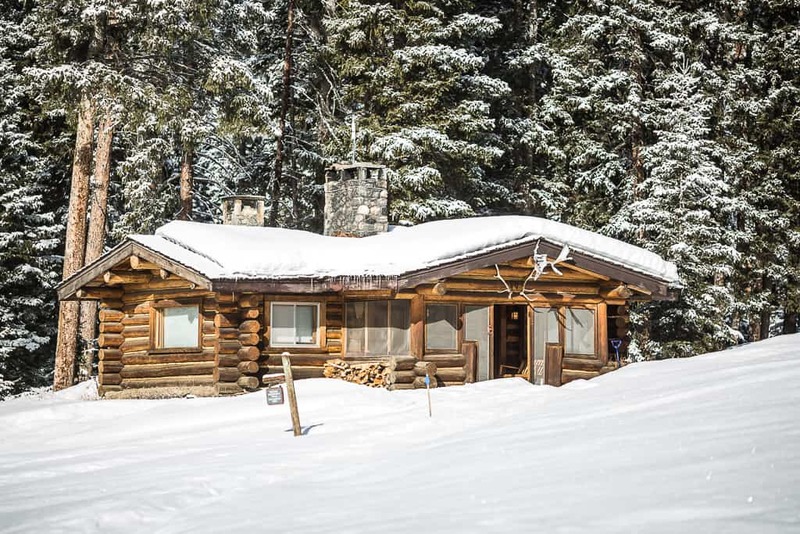 The Butlers built many of the existing lodgepole guest cabins and named the property the B-K Ranch. 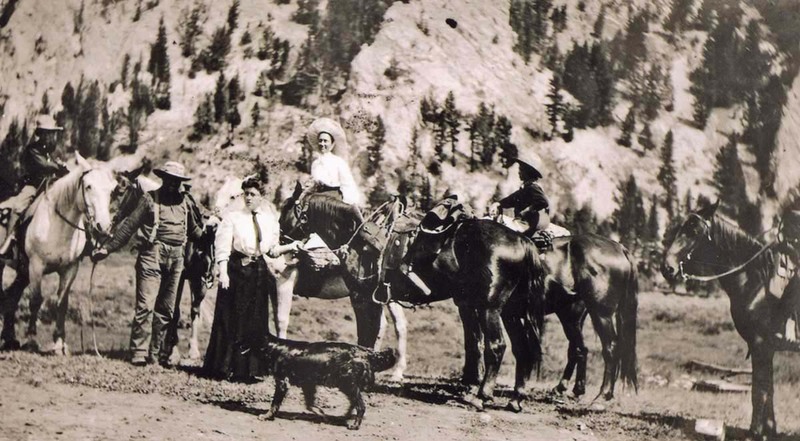 In the 1930s, the younger generation of Butlers opened the ranch to friends and guests visiting from back east. “Dudes” rode horses, panned for gold, fished, trapped, collected wildflowers and enjoyed meals cooked by campfire. Guests flocked to the ranch to fulfill their cowboy ambitions, and as they do today, discover an authentic experience that is true to nature. After World War II, the Ranch took on new purposes. For a few summers, it was used as a boys camp - a place for young men to ride, fish, camp and hunt while exploring the wilds of Montana. 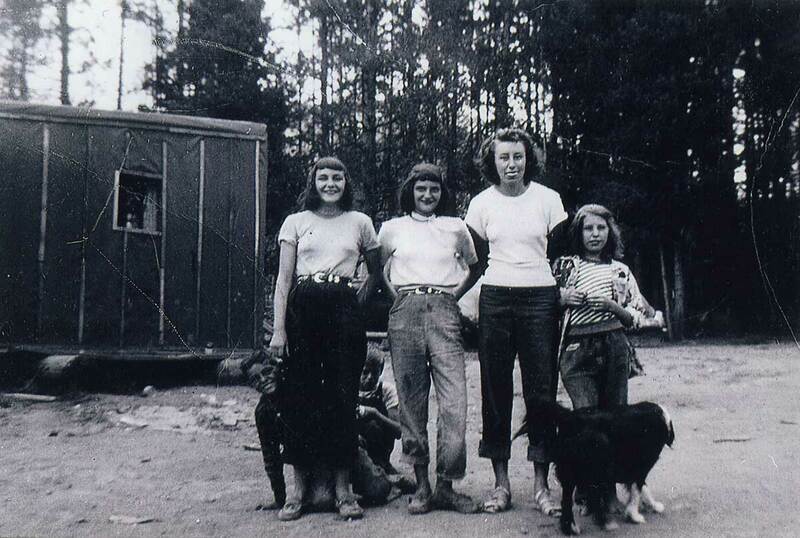 Later, the ranch became home to a logging operation, and dozens of families took up residence in the old cabins and temporary tar paper houses. To accommodate al the children living on the Ranch then, the B-K Lodge was converted into a schoolhouse. 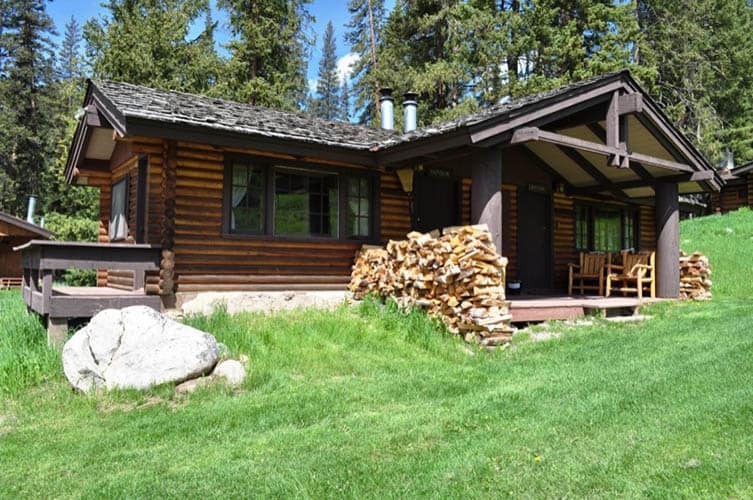 In 1955, the loggers left and the Ranch went back to welcoming guests in the tradition of western hospitality. 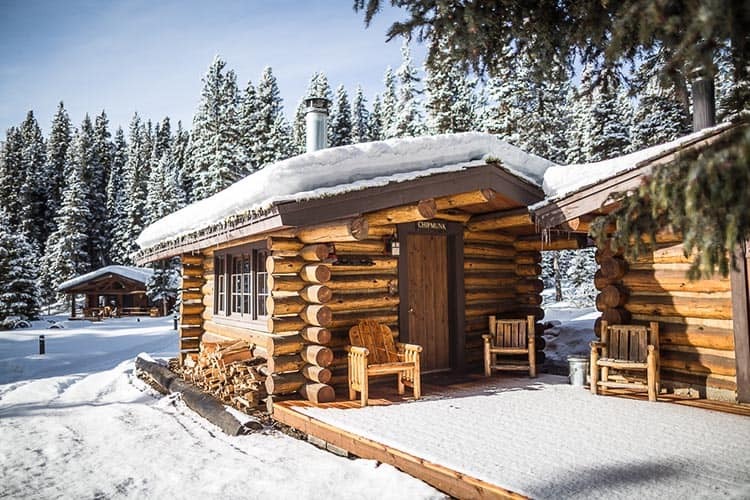 The property earned the name we still know it by today - Lone Mountain Ranch - and became a successful hunting and fishing camp for visitors seeking a true Montana experience. An old brochure referred to the property’s “hundreds of white faced cattle,” part of the cattle ranching business the owners kept in the low seasons. Much like today, guests were greeted in Bozeman and brought them back to the Ranch for a week of horseback riding and other adventures. 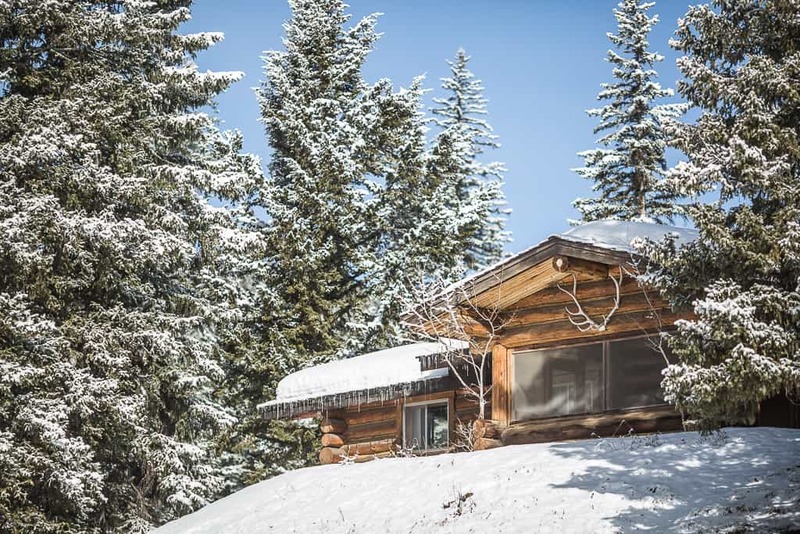 In the early 1970’s, the Ranch became headquarters for a group of influential figures and investors planning and developing the town of Big Sky. 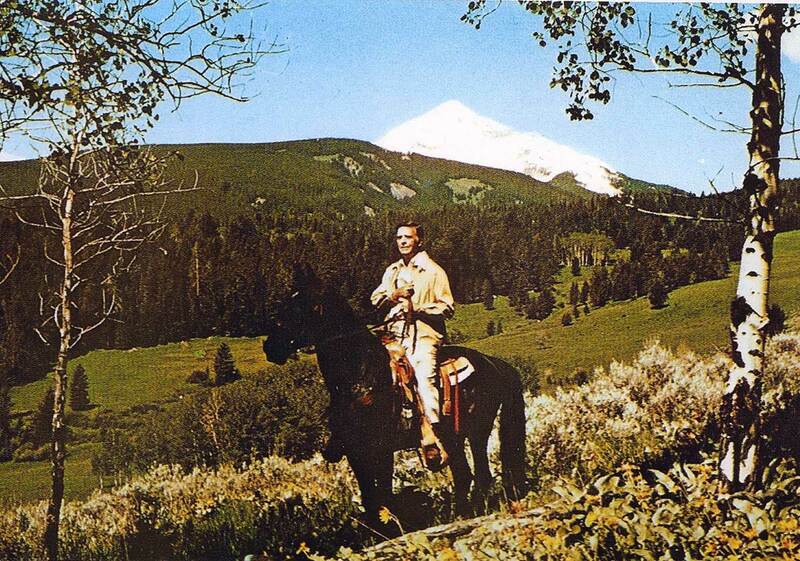 Newscaster Chet Huntley (seen here), golf legend Arnold Palmer, executives from the Chrysler Corporation, Connoco and others took inspiration from the Ranch, entertained visitors and used this scenic landscape as their office. 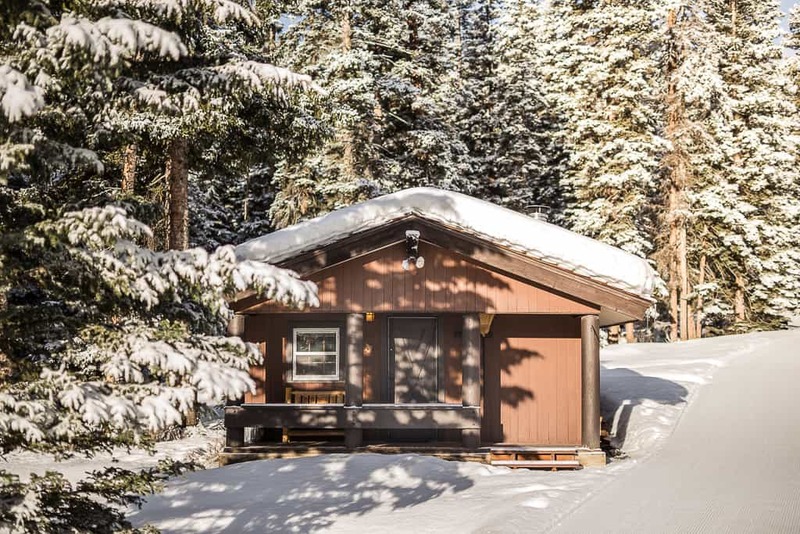 Because of their planning, Big Sky is today a thriving community, home to now legendary downhill skiing, golf and shopping. 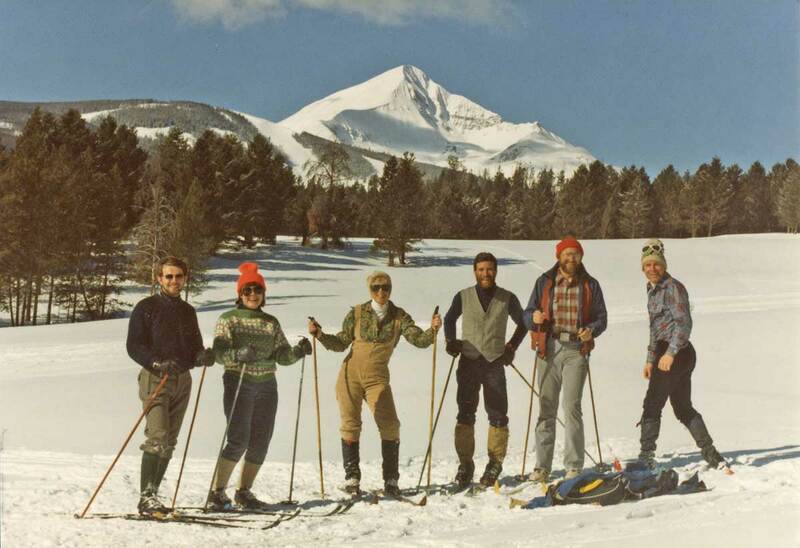 In 1977, Bob and Vivian Schaap bought Lone Mountain Ranch with a dream to turn it into one of the world’s premier cross country ski destinations. 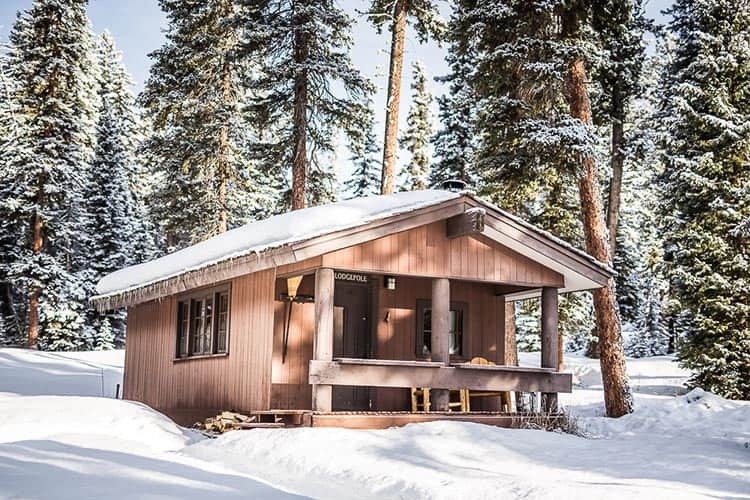 Over the course of 30 years, the Schaaps established and refined a year-round guest experience that celebrated the good things in life - and the very best of Montana. Guests from all over the world became regular faces at the Ranch, and generations of families made their memories here. 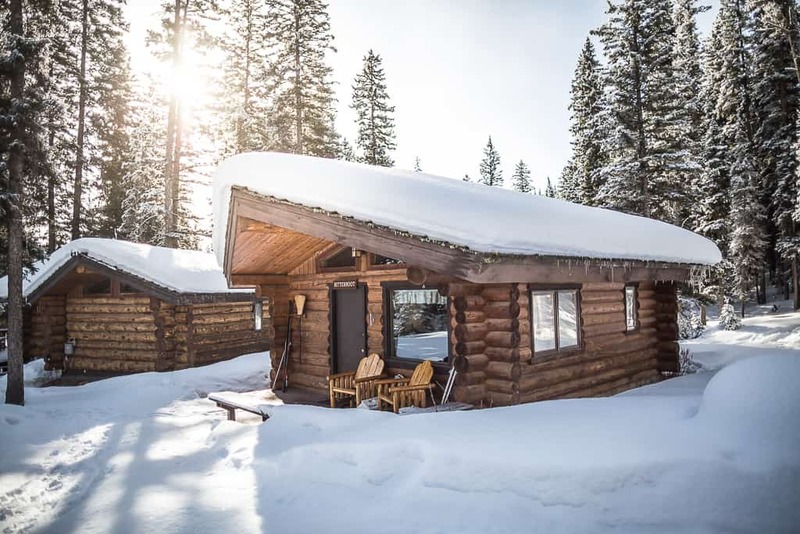 The Schnapps also achieved their dream of Nordic skiing greatness: Lone Mountain Ranch was rated the #1 destination in North America by Cross Country Skiing Magazine. 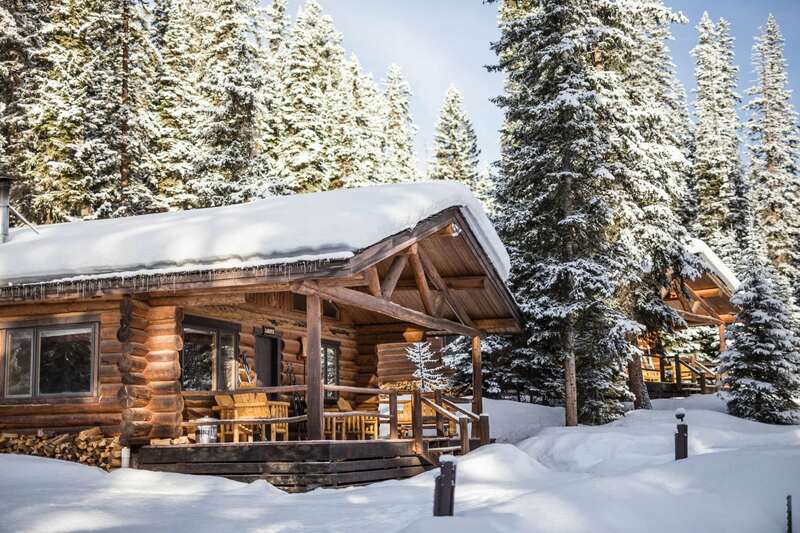 Today, Lone Mountain Ranch is proud to be part of the Makar Collection - a distinct group of hotel properties in some of America’s most intriguing destinations. 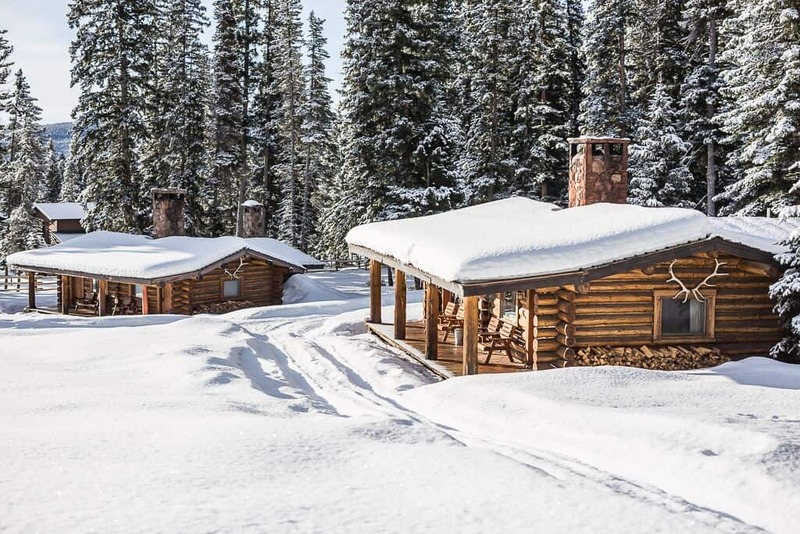 In 2016, the property received careful restoration and renovation, updating the the cabins and dining experiences with modern amenities, while maintaining the authentic heritage of a century old Montana gem. With a passion for curating unique hospitality experiences, it’s a new day at the old ranch. 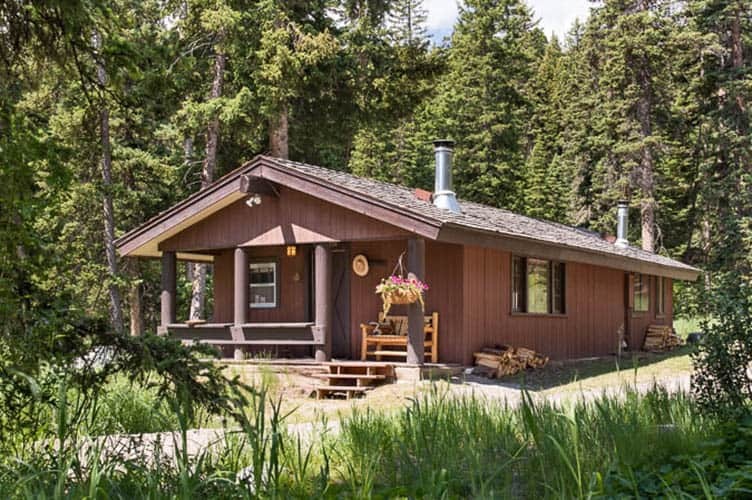 Lone Mountain Ranch is located in the scenic town of Big Sky, Montana, just 50 minutes drive from Bozeman Yellowstone International Airport (BZN). Included in our all-inclusive packages, we offer on demand concierge service to and from Bozeman airport in our fleet of black-car SUVs. Guests at the Ranch can make themselves truly at home. With meals and activities included in most vacation packages, you’re free to come and go and relax as you please. Summer guests, plan to stay a full week. 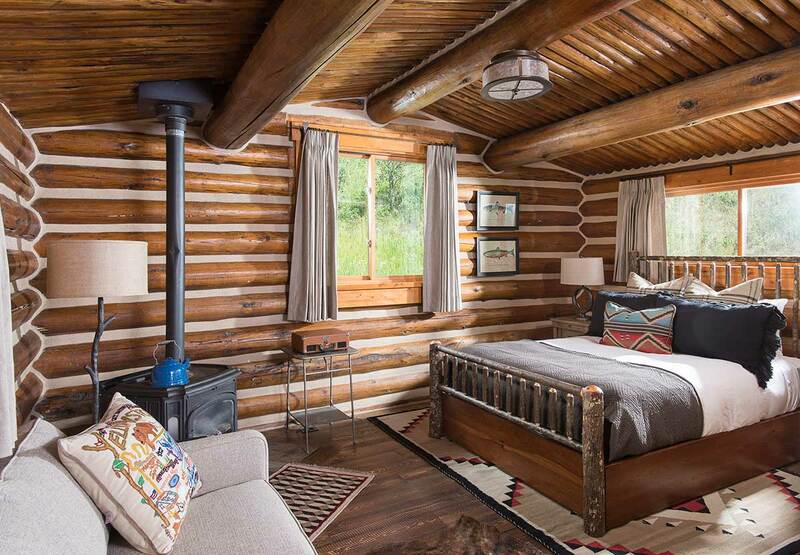 All guests, make this your Real Montana home. 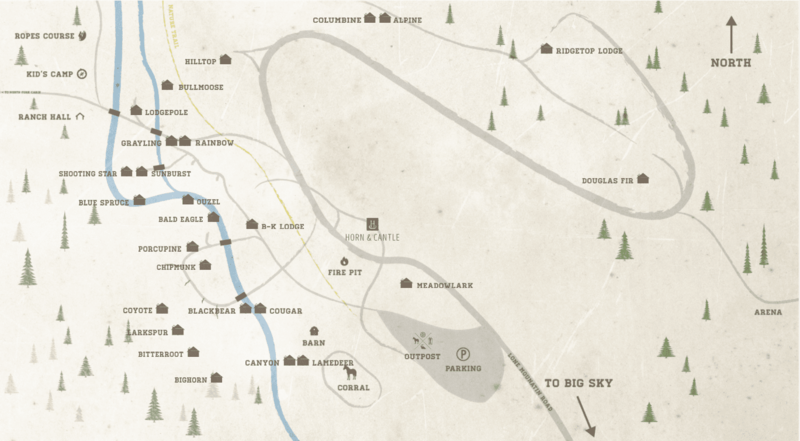 Big Sky’s premier farm-to-table fine dining experience is located right on the Ranch at the Horn & Cantle Restaurant. Acclaimed Executive Chef Eric Gruber oversees all menus, from breakfast and brunch at the restaurant to happy hour at the Saloon to the historic sleigh ride dinners. We’re delighted to accommodate all dietary needs with special menus as requested. 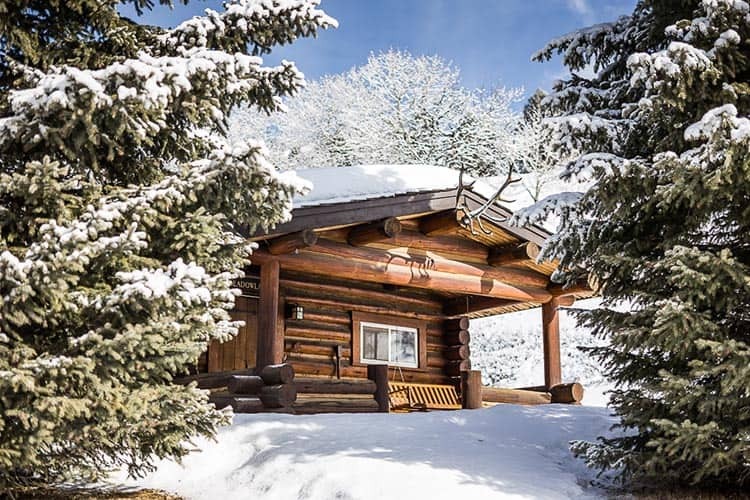 There are 27 historic log cabins on the property, ranging from 1 to 6 bedrooms. 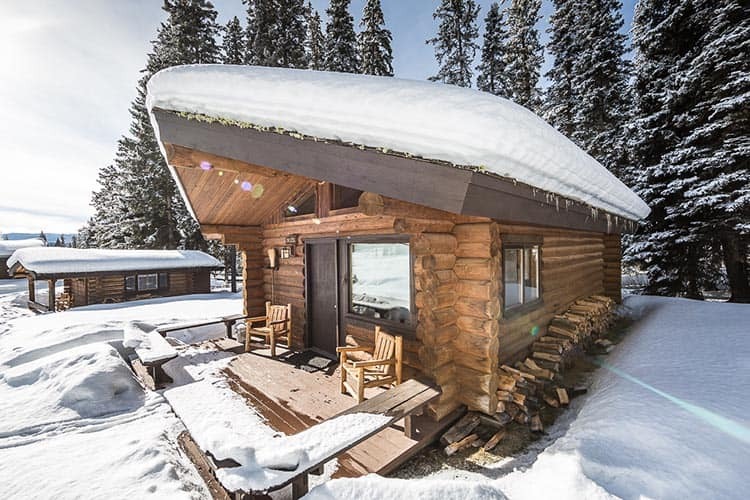 We also offer 5 pairs of adjoining cabins, perfect for families with older kids or group getaways. 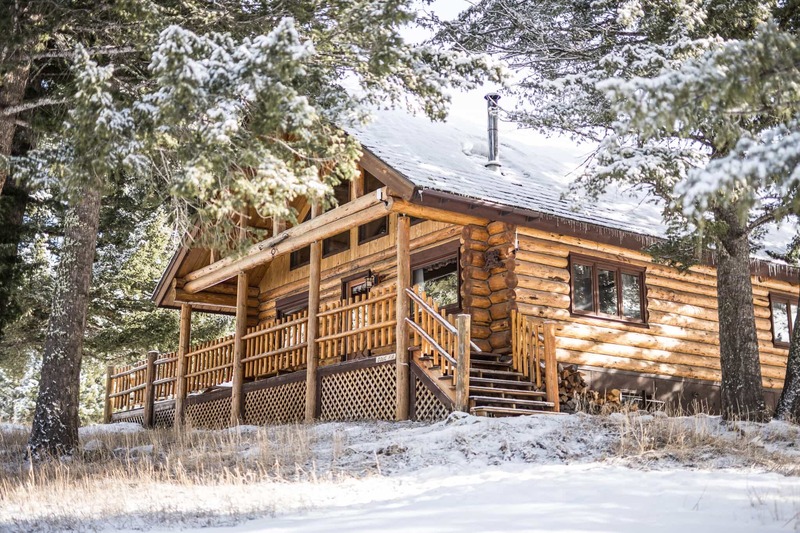 All of our cabins offer privacy, comfort and top-shelf amenities, beautifully renovated and lovingly restored in 2016. 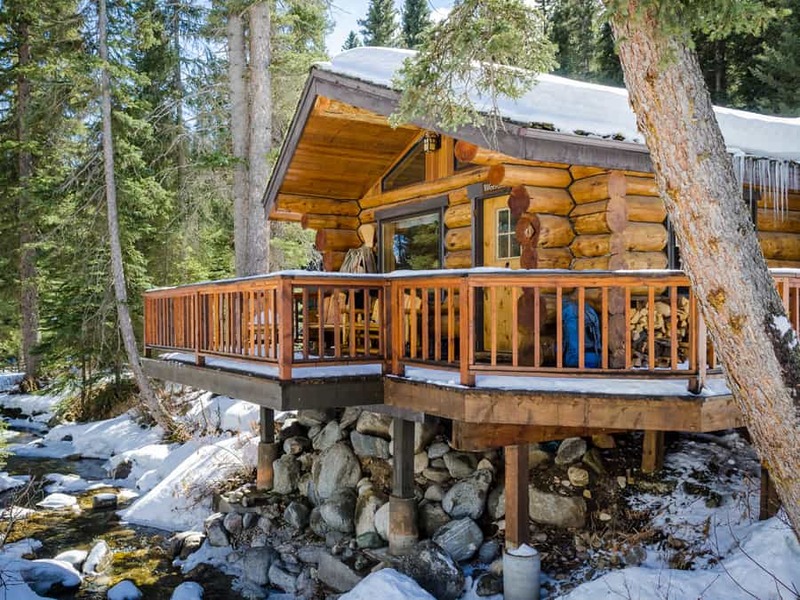 We can help you custom tailor your best Montana experience. 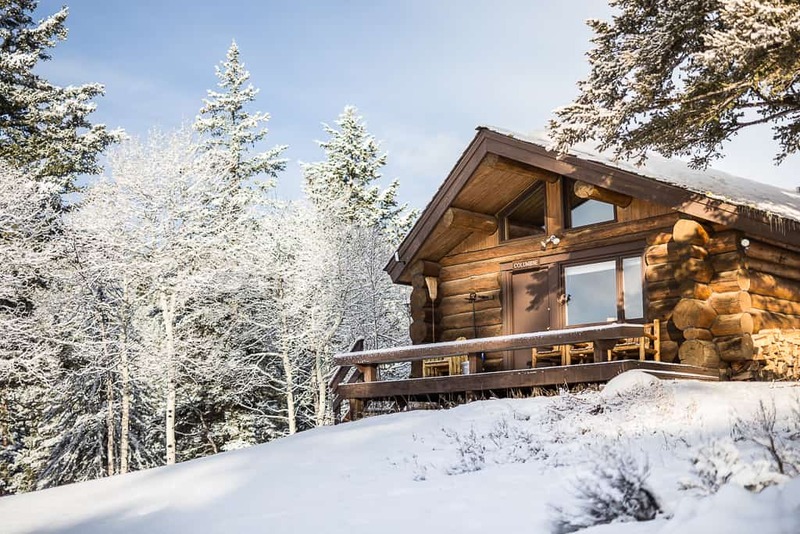 Start with one of our packages, from Winter Discovery to Exploring Yellowstone to an Angler’s Dream, then add any adventures you want to explore on our reservations page. From finding your boot size to curating the perfect trail map, our Ranch Hands are experienced adventurers who thrive on giving exceptional hospitality. Ask them anything about ranch life in Western Montana or what to expect when you visit Lone Mountain. National Geographic has identified Lone Mountain Ranch as a special property that embodies the values and commitments of protecting natural and cultural heritage, with an innovative approach to sustainability, where guests are treated to a rich array of meaningful experiences. It’s an honor to be part of the historic National Geographic Society. 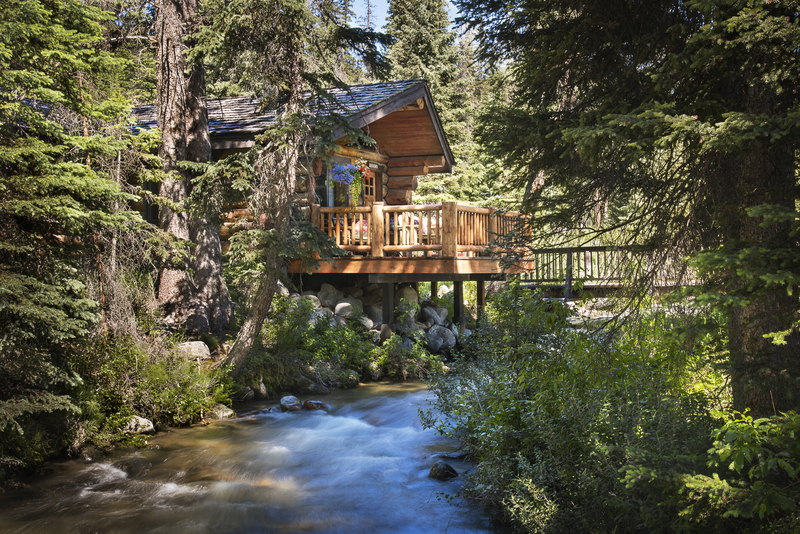 An Orvis-Endorsed Fly-Fishing Lodge is researched, vetted, and selected by experts who bring their vast expertise in fly fishing and travel to choosing the finest lodges worldwide. 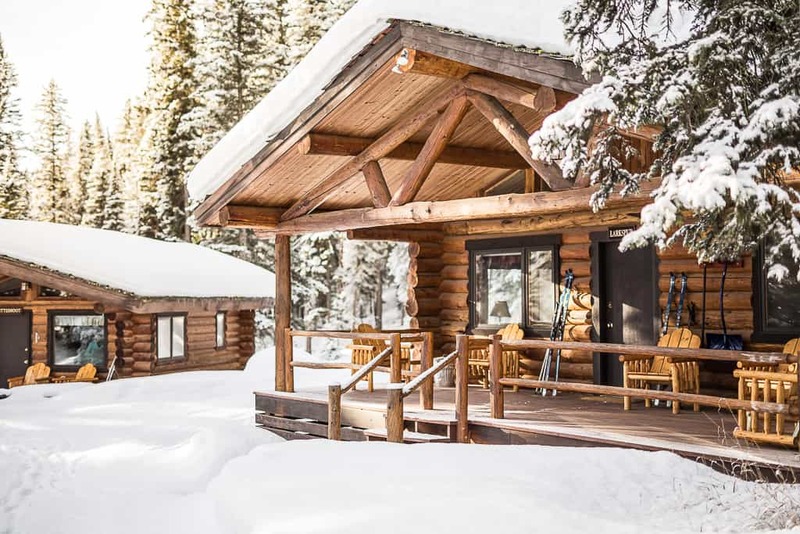 In addition to being named Orvis’ Lodge of the Year, Lone Mountain Ranch is home to The Outpost for professional expertise and gear. 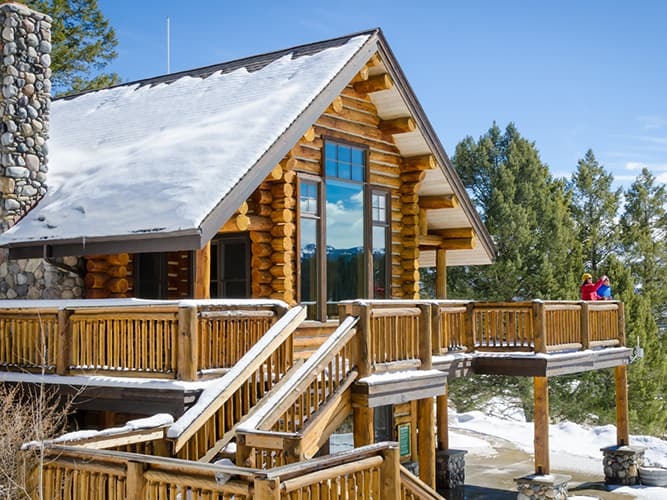 Lone Mountain Ranch was rated the Best Guest Ranch for Multi-Generational Families by Top50 Ranches, which takes the guesswork out of finding the perfect ranch vacation and giving you peace of mind. 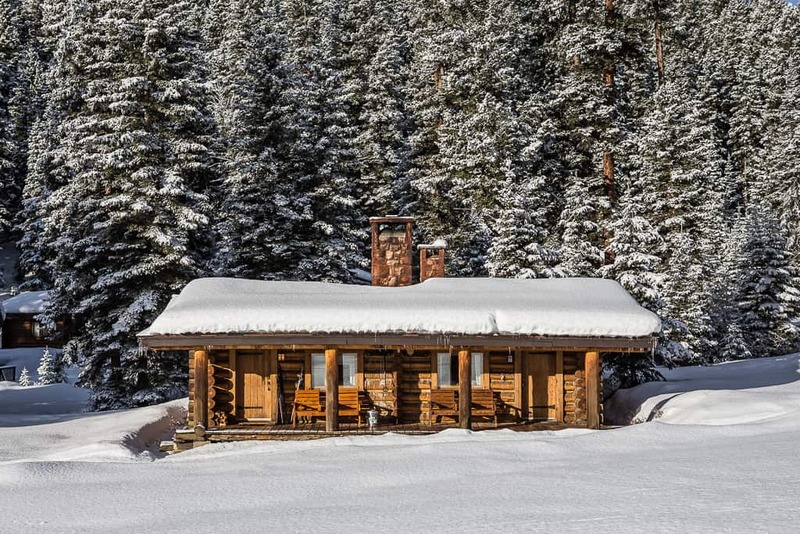 They screen for the opportunity of a lifetime, and determined that Lone Mountain Ranch is a place to get it. 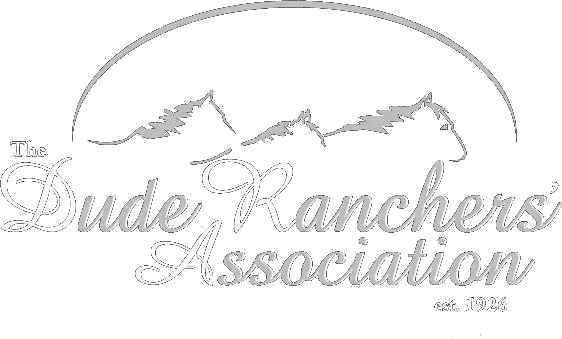 The Dude Ranchers' Association was formed in 1926 to preserve the special way of life and the wonderful environment that created the original Western vacation. Membership in the Association is a rigorous two year inspection and approval process to ensure that guests are treated to genuine western hospitality and the industry’s highest standards.